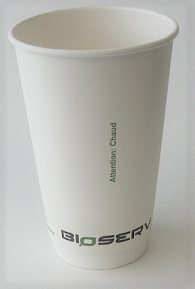 Bioserv Ripple Double Wall Hot Cup, saves you money! 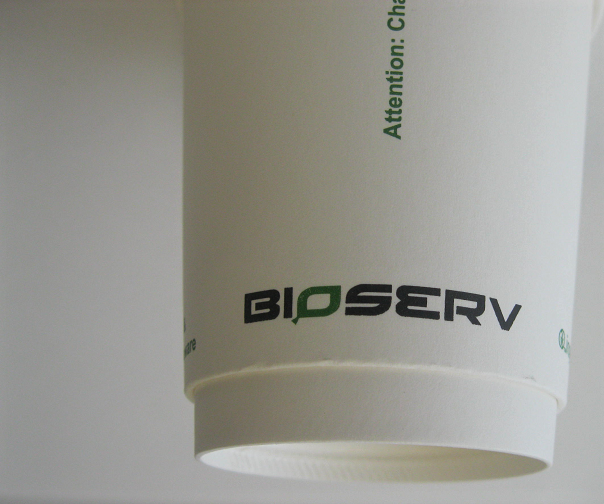 Our Double Wall cup costs less than a regular cup and sleeve, and there is no need for double-cupping. Speeds up serving time. No more fumbling with cup sleeves. Keeps hot cups cooler to the touch. Like everything Canada Green sells, it's good for the environment. 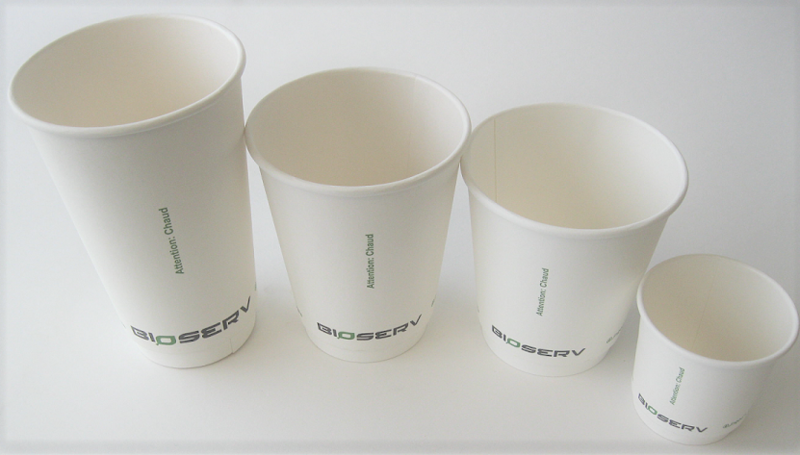 These cups are biodegradable and compostable. Available in 5 different sizes 4, 8, 10,12, and 16 oz.